You may think that getting a nose job, or rhinoplasty, is reserved for those that were born with an unsightly nose or those that have experienced trauma or injury to the nose. However, many people elect to have rhinoplasty because of the aging effects on their nose. Yes, that’s right – your nose can actually change shape and size as you age. Unfortunately, this is not ideal for most people. After all, an attractive facial appearance is typically one that is well balanced or symmetrical, and the nose is at the focal center of your face. It is true that your bones stop growing when you reach puberty. However, we know that body tissues continue to change as we age. Your nose is made up of bone, skin, soft tissues and cartilage. Over time you may find that your nose may stretch out or sag downward. This is because your nose structure and skin lose strength. In addition, the tip of your nose may seem wider or heavier due to the glands of your nose actually enlarging. While looking in the mirror as an aging adult you may be surprised to realize how much your nose has actually changed in shape and size compared to that of your youth. Now, a larger or wider nose may make your facial structures appear out of proportion or unbalanced. While you may have become accustomed to the change in airflow patterns your aging nose has brought, you may still be bothered by the unsightly appearance. If your nose has changed as you’ve aged, it is important to know that there are solutions. 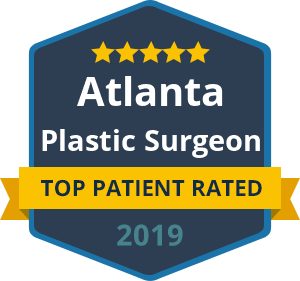 A qualified and experienced plastic surgeon can educate you on the rhinoplasty methods that can turn back the hands of time, giving you a more youthful and balanced nasal appearance. « Is A Mini-Facelift Right For Me?